This post is to share my experience with Global Windows Azure Boot camp event that happened in Ahmedabad. The event was about getting started with Windows Azure and Getting started with the Windows Azure Training Kit for any developers whether experienced or fresher and working on any programming platforms. The event was also about how real life applications can be benefited by using the power of cloud server and services. Windows Azure is Microsoft’s Cloud Platform which provides various hosting and architectural benefits along with scalability, reliability and which can scale the applications horizontal in very short time and minimum efforts. Windows Azure provides Cloud Hosting, Cloud Services, Cloud Mobile Services which enable Push notification to any platform (Really Any platform – iPhone, Android, Native application, Web applications) and many more features. According to me, Boot camp is in other words Training Camp and in real life is much more fun. It’s an event where we, the developer, come with our tools and brains and collaborate to create and build in groups. In boot camp event people go to learn skills, usually skills involving physical or practical action rather than book subjects. WHY IS IT GLOBAL WINDOWS AZURE EVENT? It is because the event was happening at 90+ locations at the same time around the globe. What was the Agenda of Event? 9:45 10:00 Welcome to GWAB! I think event was Awesome and I had learnt many things which I didn’t knew before. The Speakers removed the hesitation and fear of windows azure and cloud applications building that I had before the event. Event went good with the agenda and schedules although there were few examples and labs due to shortage of time, the speakers were nice and supportive to answer our questions and provided best guide they knew to clear the doubts. And they also helped in getting the Azure SDK that was +1 point to them. Initially Mahesh sir gave speech on the event agenda and introductions. Then went through the Windows Azure & its benefits, and applications that can be built with it. I must say event interactive session with him. He then introduced and made us familiar with the Windows Azure Portal to manage the sites. Then we went through the Render Lab deployment with some help. After lunch, Prabhjyot sir gave us some introduction about him and his team. He told about the cloud services and Windows 8 Application and some code examples built and already functional on the cloud. Then Kaushal Bhavsar showed us the Windows Azure Cloud Mobile Services and push notification services that Windows Azure provided using ‘Channel Url’ and that the push notification was available for use on any platform whether it is Web, native application, or mobile and on any Operating Platforms. Then some cool giveaways happened. My favorite was plural sight 1 year subscription but didn’t won it as there was only one of it but hey I got Cloud berry giveaway..
What was the cool thing about the event? Alan Smith (@alansmith) who happens to be Microsoft MVP prepared something based upon his 256 worker role demo, if you want more in-depth info on the demo and the topic the check out read more from the blog post here. And we deployed the demo cloud application named renderlab on the windows azure ourselves through the labs with guidance and some efforts. Meet the Geeks – Mahesh Dhola, Jalpesh Vadgama, Kaushal Bhavsar, and Prabhjot Singh Bakshi. Meetup with other Ahmedabadi developers and learners. Lastly – Food, Giveaways (Gifts) and Windows Azure stickers. HOW I CAME TO KNOW? I came to know about Global Windows Azure Boot camp event going happening by Facebook post in AhmedabadDotnet Group. Go and Join the Group to get social with the Community on Facebook itself. PS: Check the FAQ section of the event for more answers and information. Prabhjyot Singh Bakshi speaking at the event on Windows Azure Real-life Applications. Mahesh Dhola speaking on Windows Azure – Complete Solution for Any Business Need. I hope you liked the post and event information. Share your experiences if you were also the part of the event Or May be some other event that you want to share with us. Microsoft’s latest Windows Azure commercial combines jousting, stuffed animals. Harsh is an Microsoft and Sitecore Certified IT professional. 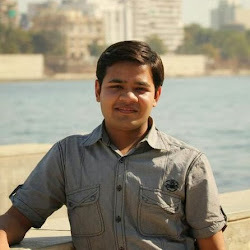 He has good amount of work experience in Web apps, Windows apps and Services development using Microsoft .NET technology. Hey !! Wiil You Please give Some Idea To geting Started With Azure ?? I m From Ahmedabad. I missed Bootcamp.